During the 6 weeks following the toppling of the Saddam regime, as the CPA arrived and ORHA departed, Coalition military forces quickly established their presence in the capital city and throughout Iraq, preparing for what came next. Still, the role of the United States’ and the United Kingdom’s military forces in the next stage of the campaign remained unclear. 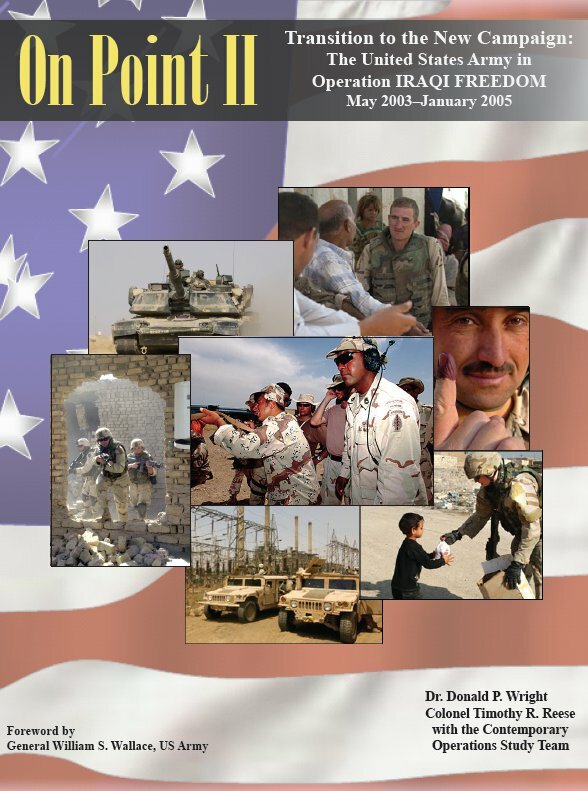 During the initial planning that led to Operation IRAQI FREEDOM (OIF), General Tommy Franks, the CENTCOM commander, tasked Third Army/CFLCC to lead the postinvasion phase of the campaign known as Phase IV, Transition, in joint doctrine terminology, which CENTCOM believed would be relatively short. Once CENTCOM concluded its postconflict operations, CFLCC would pass responsibility for the longer, more complex reconstruction and stabilization effort to a combined joint task force (CJTF). The DOD gave this joint task force a variety of names, designating it first as Combined Joint Task Force–Iraq and later as Combined Joint Task Force–7 (CJTF-7). However, planners at the DOD and CENTCOM had focused on Phase III, Decisive Operations, of the campaign and, consequently, had invested only a limited amount of time and resources in the organization and manning of this joint task force. Franks also wanted the Third Army/CFLCC out of Iraq as soon as possible and returned to its normal role in support of land operations throughout the CENTCOM area of operations (AO), which included Afghanistan. By the second week of May, V Corps commander Lieutenant General William Wallace received confirmation that his headquarters would serve as the core of CJTF-7, the Phase IV military headquarters tasked to replace Third Army/CFLCC in Iraq.7 In late April Wallace learned that he would be replaced as commander of V Corps by Major General Ricardo Sanchez, then commanding the 1st Armored Division (1st AD), heading to Iraq from Germany. 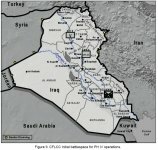 No new CJTF headquarters would be coming to Iraq after all. V Corps, which would not be officially designated as CJTF-7 until 15 June, was to operate under the political guidance of ORHA and Jay Garner. ORHA also expected to have a short lifespan, turning over political power to a new Iraqi Government by the end of the summer. In late April CFLCC remained in charge of Coalition ground forces, but was beginning to transfer responsibility to V Corps and preparing to redeploy to the United States. It provided only limited guidance to the tactical units that fanned out across Iraq. Even without a detailed mission and guidelines on how to conduct the next phase, by the beginning of May US Army divisions took positions across the country and began executing a variety of operations. The 101st Airborne Division (101st ABN) established itself in the northwest of the country around the city of Mosul. To its southeast, the 173d Airborne assumed responsibility for the city and environs of Kirkuk. In the area between Kirkuk and Baghdad, a region known as the Sunni Triangle, the 4th Infantry Division (4th ID) set up a sprawling presence. In Al Anbar province, to the west of the Sunni heartland, the 3d ID and the 3d Armored Cavalry Regiment (3d ACR) began operating in cities such as Fallujah and Ramadi. The 1st AD, soon to be augmented by the 2d Armored Cavalry Regiment (2d ACR) and the 2d Brigade Combat Team (2d BCT) of the 82d Airborne Division (82d ABN), moved into Baghdad to begin its operations in the Iraqi capital. (See Appendix C, Map of Unit Areas of Responsibility, 2003–2004.) Across these areas of responsibility (AOR), the special operations Soldiers of the newly established Combined Joint Special Operations Task Force–Arabian Peninsula (CJSOTF-AP), created when CJSOTF-North and CJSOTF-West were combined, began conducting reconnaissance, psychological operations, and the hunt for high-value targets.